Fire and Brimstone - God's Final Wrath? Fire and brimstone have traditionally been understood to equate to the final furious outpouring of God's undiluted wrath in the last judgment. But tradition is often just that - tradition; beliefs handed down even from the Dark Ages. However, when we allow the Bible to define its own terms and explain itself, we get quite a different picture. The following seven web pages, linked in series, will thoroughly explore this topic to see just what the Bible itself says. Below are short descriptions and links to each of the pages. They are introduced with thought-provoking questions. 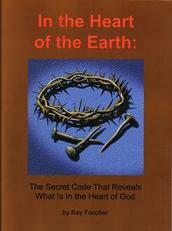 This is very interesting material that will challenge your thinking and your concept of God. You will get the most from this series by going through the pages in order. They are not long pages and are linked in sequence. Part 1 - Jesus' Death - This study describes the nature of the death He died. If He died in our place and took our penalty then the penalty, the death, should have been similar to what we were condemned to and what the lost will finally suffer. But didn't He die by crucifixion? What is going on? Part 2 - The Final Judgment and Its Fire - How does the Bible use this word? Is it used for physical fire or in some symbolic way? We will find that it is used symbolically in a great number of cases. Would a God of love who tells us to love our enemies, in the end, burn His own enemies with fire? Is this leaving us a good example? Part 3 - Trial by Fire - Actually the Bible says that everyone will, in a sense, go through a trial by fire. Again, we need to understand the nature of this fire and its ultimate purpose. Is fire just for punishment or is it also for refining or cleansing? Or is there even more to it than that? Part 4 - Tried In the Fire - You've perhaps heard of the "Refiners Fire." How are the saints purified by fire? How does the purification process work? Does it or should it affect our daily walk with God, our lifestyle and everyday choices? Part 5 - Brimstone - What does this mysterious word mean? Is it just a hotter form of fire? Does God turn up the heat at the end to make sure everything is "well done"? What can this "fire and brimstone" tell us about the character of God who portrays Himself as a God of love? Part 6 - Lake of Fire - Where is this? The study will show that, in fact, it is not a place but, rather, an experience and one you don't want to and don't need to go through. Here is a clue: have you every felt the heat rising in your face when you are caught in an embarrassing situation? There is a connection. Part 7 - Consuming Fire - With all this discussion about fire, it is interesting that God is described as a "consuming fire." What will it mean to live with God if that is what He is? Is it burn with fire or dwell with fire? Read through all the pages and you will be thrilled at this amazing conclusion. Please read on - you will be pleasantly surprised at what you learn as we go on a journey into the Lake of Fire. This is a subject that comes up around the end of the millennium. Please read that page if you haven't already then proceed with the first link below.